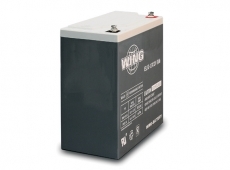 Wing are specialists in industrial battery design and manufacture, offering VRLA batteries with high rate discharge capability, modern specification design and ABS injection moulded case material as standard to product first class products suitable for any standby power requirement. So why should you consider Wing batteries? The answer is simple. Whether your interest is for back up power for telecoms, UPS emergency lighting or any standby application, Wing can supply a VRLA battery solution to meet the challenge to provide confidence and peace of mind. Many major manufacturers have chosen to work with Wing batteries knowing that they are installing one of the best battery options available on the market today. 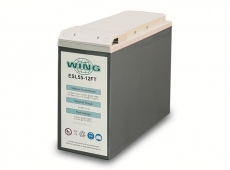 Wing batteries have been proven time and time again to be the smart solution for DC power. Blue Box Batteries are proud to represent Wing, and share a vision of providing the best service together with the most competitive prices possible. Call Blue Box Batteries today to discuss the Wing battery options and find the best battery system to suit your project, our experience and knowledge puts us ahead every time. Our team is on hand to supply any help and advice whenever you need us.